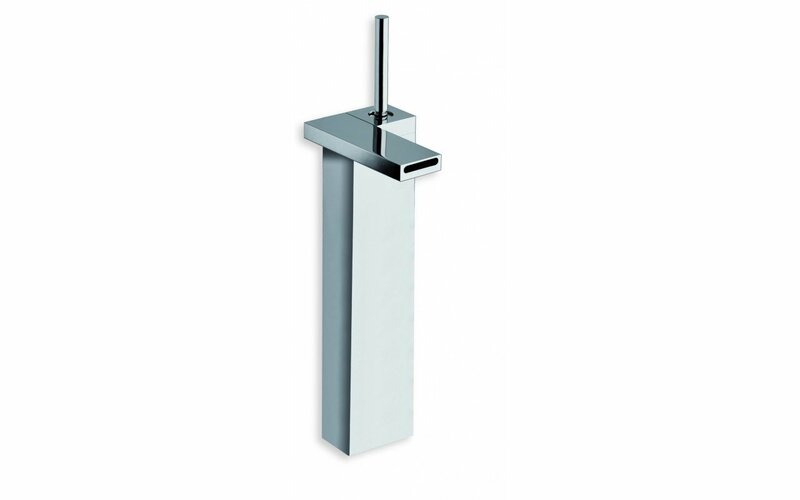 The Modul (MD222) Vessel Sink Faucet features a 1"1/4 Up & Down waste and is not an average vessel sink faucet, as it mounts on the table or counter top on which the vessel sink is mounted, giving it a streamlined and contemporary look for any bathroom. The slim lines intersect on a precise note, creating an architectural appeal to this model. This design is an embodiment of technological research ensuring smooth movement and flow during the mixing process. Sculpted and made from quality brass in Italy, the Modul (MD222) is streamlined with a slick Chrome finish and comes standard with a 5 Year Limited Warranty.